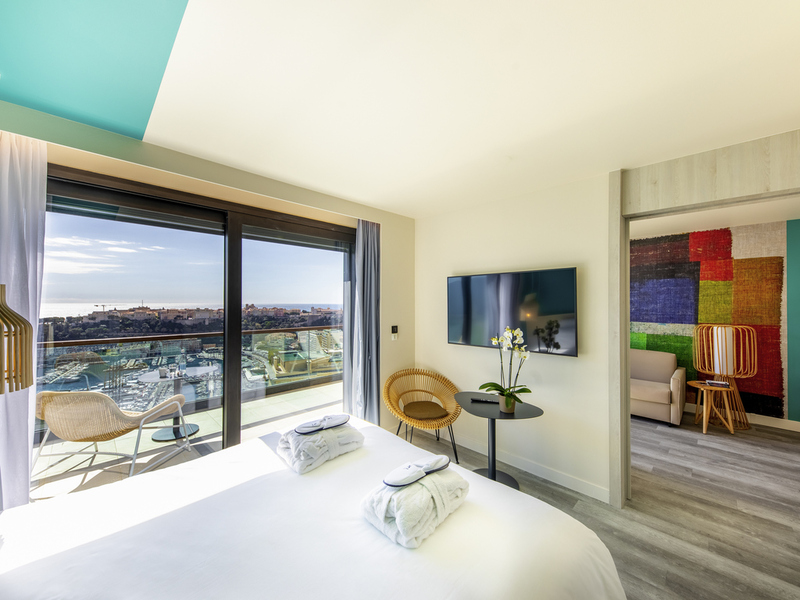 Renovated a la Riviera, Novotel Monte-Carlo welcomes you to Monaco. Our rooms have high-end furnishings, some with balcony or terrace overlooking the Rocher, sea, harbor and its yachts. Site for your professional get-togethers with its meeting rooms and its coworking space. Welcome to Azzurra Kitchen, for business or private lunches, outdoor time or dinner with friends. The dishes, prepared with local produce, will make you lounge at Rivieras du Monde. Come take time at the bar during the day with a detox juice, for example, or enjoy the evening sipping one of our signature cocktails at Rivieras du Monde. 뷰도 좋고, 전철역도 가까운게 좋네요. 깔끔하고 좋습니다. 조식도 충분히 맛있고요. 창분 뷰도 괜찮습니다. 리셉션 데스크 직원~오만하기 짝이없음.두시간이나 청소를 기다린 우리에게 사과는 커녕 거만함.청소도 급히 하느라 방향제만 쏟아부어 속이 울렁거림.세시간이상 환기시킴. 아침식사 난리법석.먹을것도 없고 그나마 많은 인원을 해결할 능력도 없어 보임.돈이 너무 아까웠다. 깔끔하고 청소상태가 좋아 기분이 좋았음.. 하루는 물이 없어 룸서비스에 요청하였으나 늦게 오자않아 약속시간때문에 나가야 해서 조금 아쉬웠음. 샤워실이 좁아 탕에 샤워 커튼이 있으면 좋겠다. 미네랄 워터를 굳이 bar 나 룸 서비스를 시키지 않았쓰면 좋겠다. 주차장 찾기가 굉장히 힘들었습니다. 주차장이 일방통행길에 있더군요. 정문앞에 벨보이도 없어서 물어볼수도 없었고, 호텔앞 도로는 매우 좁고, 그나마 호텔앞에 여유있는 공간도 다른 차들이 주차를 해놓아, 호텔 정문앞에 차를 대고 짐을 내릴 공간도 없었습니다. 덕분에 호텔을 앞에 놓고도 모나코 도로를 다섯번 돌았습니다. 홈페이지상에 주차장 가는 길이 일방통행이라고 알려 주고, 주차장 들어가는 길을 자세히 알려주시면 더욱 좋겠습니다. 주차장 찾는 것 때문에 -2점입니다.^^ 그외에는 다 좋았습니다.